After a week of tumult and ugly accusations on all sides, St. Frances Academy has announced that it will not play football in the MIAA A Conference in 2018 and will pursue a national schedule. Following the announcements, over the last week, that three schools in the MIAA A Conference intended to forfeit their 2018 football games with St. Frances Academy over safety concerns, an ugly war of words has ensued as the disputing parties have exchanged multiple charges, including illegal recruiting practices and racism. The controversy was further fueled by intense media attention and an avalanche of social media commentary. The situation put the MIAA leadership under the microscope, as all sides looked for some sort of resolution. The MIAA athletic directors did meet this week in Easton, at their annual workshop, and heard from representatives of St. Frances. They also discussed potential rule changes, which must ultimately be approved by the Association’s Board of Governors, aimed at cutting back athletic transfers, and specifically senior transfers, one of the sources of complaint against St. Frances. Also on Wednesday, it was learned that a fourth school, Archbishop Spalding, also announced it would not play St. Frances in 2018, citing “logistic concerns.” This left only Gilman School as the only school in the conference which had not made a proclamation to not play St. Frances, although it is known that it is something the school has been considering. Although a formal declaration from the St. Frances administration of its intentions to play an independent football schedule in 2018 has not yet been made, co-head coach Biff Poggi broke the news, Wednesday in an interview with WBAL Radio. Further, Poggi showed support for the decisions of his rivals. In another sign of potential healing, the Presidents of St. Frances and Calvert Hall, Dr. Curtis Turner and Brother John Kane, respectively, issued the following joint statement. “Over the past several days, St. Frances and Calvert Hall have been in communication about not playing football next season. Through this collegial dialogue, St. Frances understands that Calvert Hall’s decision with respect to football was based solely on concerns for the safety of its students. Equally, Calvert Hall understands that St. Frances is advancing their football program to a national level and wishes them success competing at that level. Both schools affirm the common Catholic Mission they share in the education of young people. Both schools desire to continue to compete in sports other than football and explore other ways in which to collaboratively fulfill their common goal of fostering the spiritual, physical and academic development of their students. 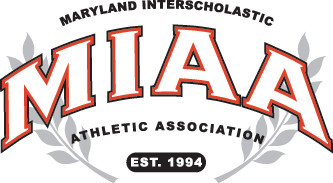 “The Maryland Interscholastic Athletic Association (MIAA) has recently been notified by three of its member school, Calvert Hall, McDonogh and Mount St. Joseph, that they intend to forfeit their football games against St. Frances Academy for the 2018 season citing player safety concerns. The league has acknowledged the position taken by these schools. The MIAA does not have the authority to make a member school compete in a scheduled athletic contest; that authority resides with each member school.